Community Members participating in a room have the ability to choose a wall and export the wall into a presentation (PowerPoint - PPTX). 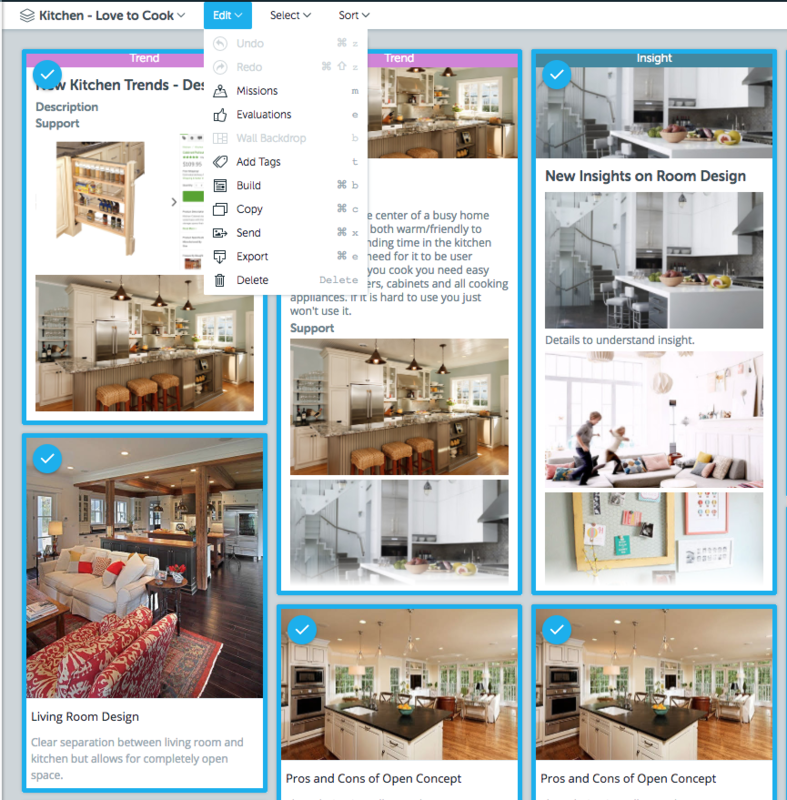 Select multiple items on a wall or use the "Select All" button at the top of the wall and then choose "Export" from the Edit tool bar. 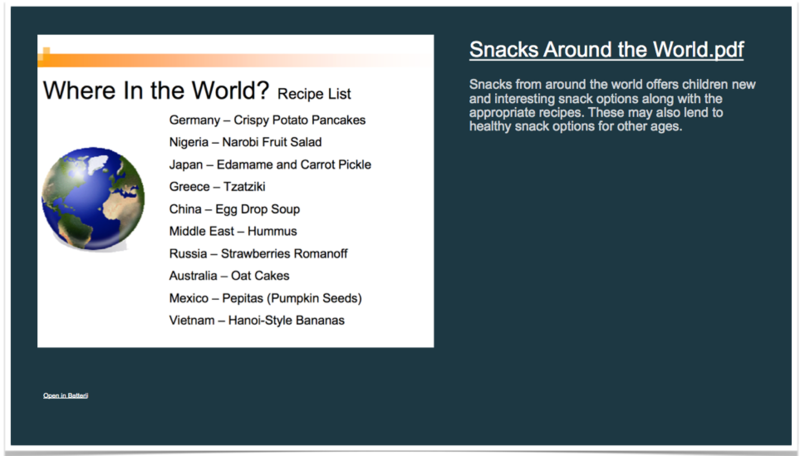 The export will highlight some of your options prior to creating the presentation for you. Asset Export: Export only the items you selected on the wall or Export ALL wall items. 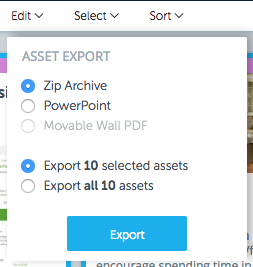 Choose Export Type - PowerPoint (pptx), Zip Archive or PDF (moveable walls only). Multiple assets per slide and Include asset comments. 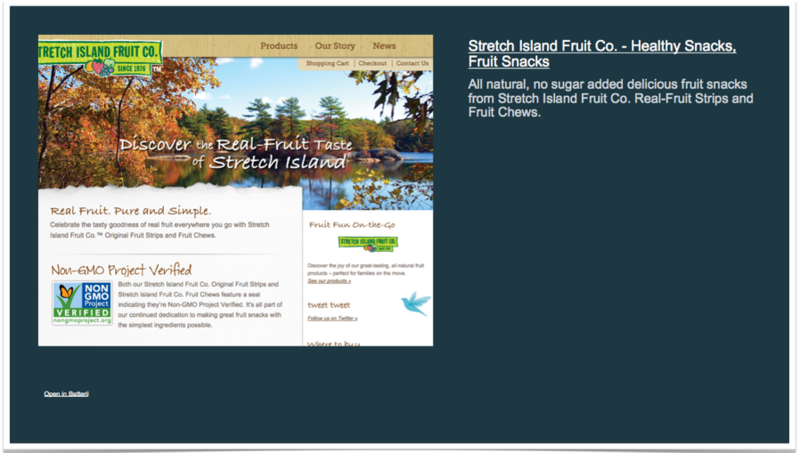 You can choose none, one or both of these options depending on how you would like the wall content compiled. Click Export to start the Export Process. You should see a pop up stating "We will email you when your export is ready!" and a processing report. If the report is smaller it may take a very short time for the export to process which will allow you to instantly click download without going to your email. For larger exports check your email! You will receive an email notification stating your export when it is ready to be downloaded. Exports are only available for 72 hours, if you don't download your export with in that time you will need to trigger a new export. Click "View export details and download file" for it to bring you to the export details. This will highlight the size of the export, the wall you exported and the export options you chose. Then click download to obtain the PowerPoint presentation. 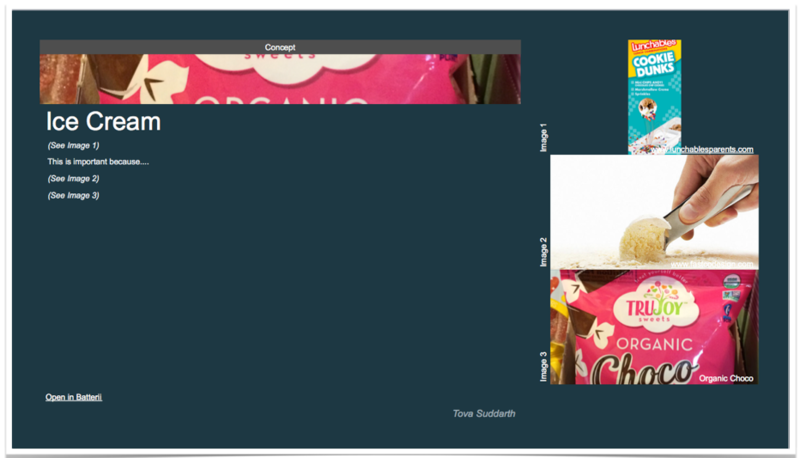 The PowerPoint presentation was created with Master Slides in mind - with a couple quick clicks using the Master Slides you can make the background, font and more align to your preferred style and layout. View your persona export history by selecting "Your Exports" from your Profile dropdown in the top right of your screen. 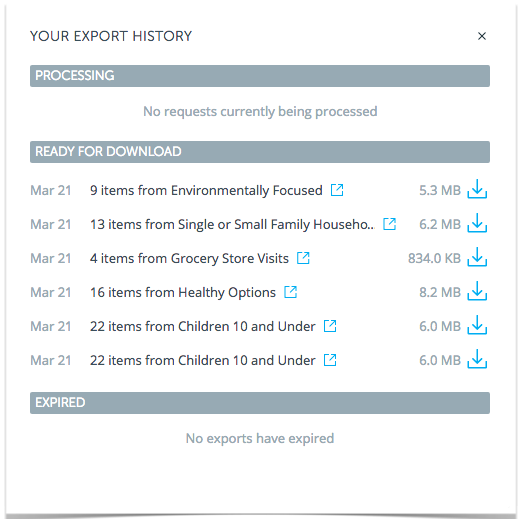 If your exports are still available for download easily download from this detail screen.